Zenfone 2 is one of the best budget phones that pack a lot of good features in them. Zenfone 2 has a 5.5-inch capacitive touchscreen with a resolution of 1080p and a pixel density of 403ppi which is surely an attraction. It runs on Android v5.0 and is powered by an Intel Atom Z3560 chipset. Its 3000mAh battery is fast charging and can charge up to 60% in just 40 minutes. However, Zenfone 2 will perform a lot better if it is rooted. If you root zenfone, you get access to the newest version of Android even before its release. Also, a zenfone root will grant you the power to decide what stays in your mobile and what doesn’t. And it does not end there, when you root zenfone, you can power up or power down your device, change themes etc. 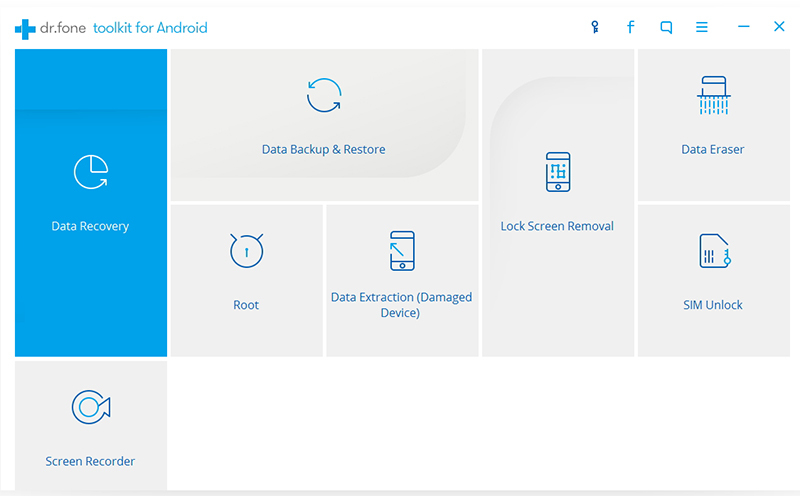 This article will describe the easiest methods to perform a zenfone root. A zenfone root is definitely attractive and worth the risk that the rooting process involves. However, you must jump right in into the rooting process before doing some preparations. Here is what you need to do before you root zenfone. •	Rooting your Zenfone may cost you dearly if you do not have your data backed up. So make a backup of your photos, videos, contacts, bookmarks, messages etc before rooting. •	Have your smartphone’s battery charged to 50-70% of its capacity because if your phone dies while rooting it, you may end up bricking your Zenfone. •	A rooted Zenfone 2 may no longer be covered by warranty. But if you learn the method to unroot it, it would not be much of a problem. •	A good USB cable, preferably the native cable, is necessary to connect your Zenfone 2 with your computer without any problem. •	If you don’t have ADB drivers installed on your computer, have it installed. •	Make sure that you have all the USB device drivers installed and up to date on your computer for establishing connection with your smartphone. •	Install / Update proper Zenfone 2 device drivers in your computer for a successful rooting process. •	Your Zenfone 2 must be unlocked before starting the zenfone root so that you can operate it without any problem. •	In case you have not enabled USB debugging on your device, enable it by checking the selection box in Developer Options available in the Settings. Rooting your Zenfone 2 will unlock its power and give you the feeling that your device is entirely a creation of yours. But rooting is not an easy process. There are many methods that can be used to root your smartphone but not everything is successful. 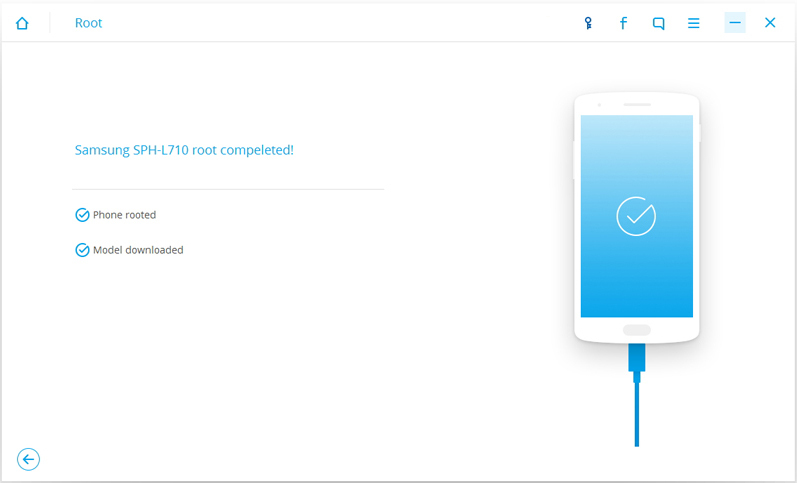 However, if you use Wondershare dr.fone Android Root toolkit to do the zenfone root, you can be sure for the most part that your device will be rooted successfully. 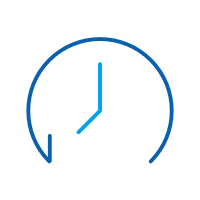 Also, dr.fone tool for Android smartphone rooting is very simple and takes only about a few minutes to complete. Now we will learn how to Root Zenfone 2 with dr.fone Android root. Download Wondershare dr.fone toolkit to your PC and install the program in it. After it is installed, launch the dr.fone program on your PC. Select “Root” among all the other options that appear on the screen. 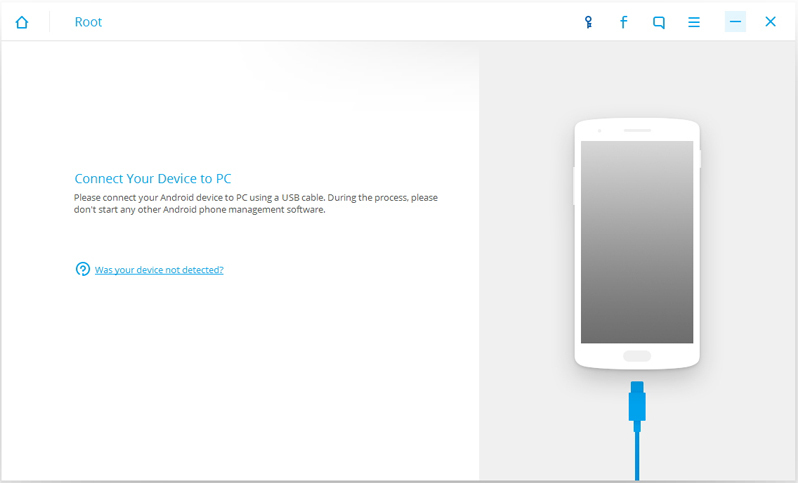 After selecting the “root” tool, connect the Zenfone 2 with your computer using a USB cable. There will be a pop-up message on your mobile phone asking permission to enable USB debugging if you haven’t enabled it. Tap on OK to allow it. Then, dr.fone toolkit will establish a connection between your PC and your Zenfone 2. 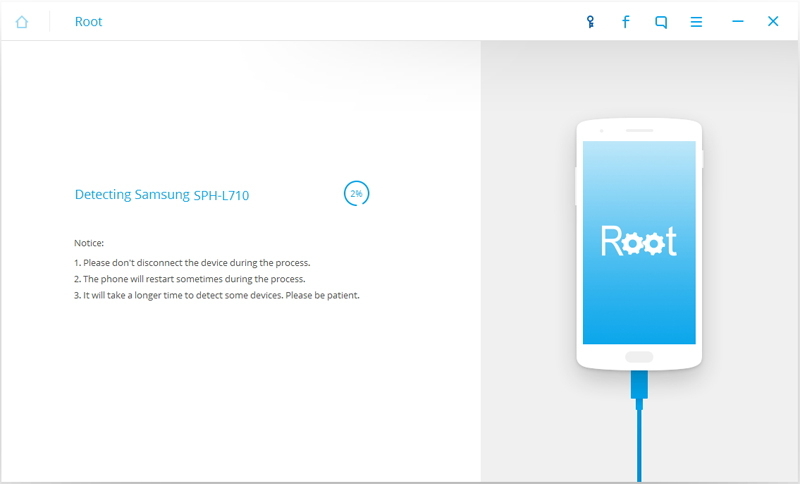 After the devices are securely connected, click on the “start” button in the dr.fone interface. Now, the program will begin to detect your phone and find a proper solution to root it. The process may take some time to complete. While the process is on, make sure that there is a proper connection between the Zenfone 2 and the PC. after the detection is over, click on “root now” to start the rooting process. In the pop-up that appears on the phone, tap on “confirm” to permit the Zenfone 2 root. After the rooting is over, dr.fone program will display a success message. Now the Zenfone 2 is rooted. Part 3: How to Root Zenfone 2 with CWM and SuperSU? Another easy method to root Zenfone 2 is by using the ClockworkMod or CWM recovery and SuperSU. CWM recovery is an advanced recovery tool that allows you to do restoration, recovery, installation and changes that stock recovery forbids. Although it won’t stay permanent in your Zenfone, there is a simple method to use it for zenfone root. 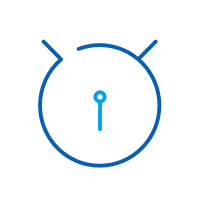 SuperSU is a root manager app that manages root access in rooted smartphones. Here is how to use them for rooting. Download the compressed zip files of CWM recovery and SuperSU app to your PC. Ensure that your devices are powered ON and connect your Zenfone 2 with your PC using an USB cable. Now, extract the CWM recovery zip file to your PC a save it in a folder. Spot the batch file named cai_dat_CWM.bat in the extracted folder. To start the CWM Recovery installation process, double-click the cai_dat_CWM.bat batch file. When the command prompt opens, type “Accept” and press the Enter key. There will be a lot of options displayed. 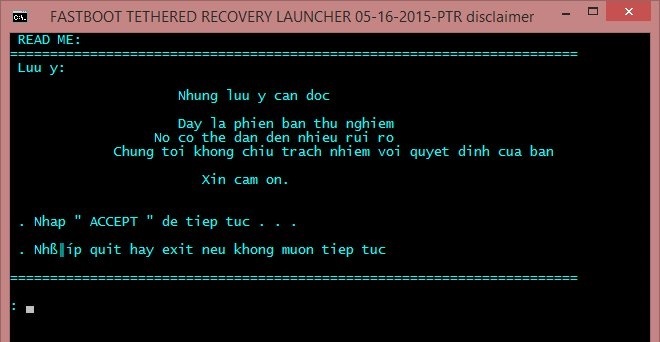 Now, type “T4” in the command prompt and press the enter key to start flashing the CWM recovery onto your Zenfone 2. Once the flashing is over, your smartphone will boot into CWM recovery automatically. Now, choose “Install zip from sdcard” and select the SuperSU zip file. Select “Yes” to confirm the zenfone root. After the root is complete, reboot your system and restart your Zenfone 2. So, these are the two methods in which your Zenfone 2 can be rooted without any problems. The methods are of varying difficulty and one may need more expertise to perform using the second method. Ultimately it depends on you to choose the method that suits you.